I was going to preface this by saying that my obsession with podcasts started when we got a dog and I needed something to keep my mind busy on long walks, and then really kicked into high gear when my daughter was born and I needed something to keep my mind busy through long nights of nursing a fractious infant. 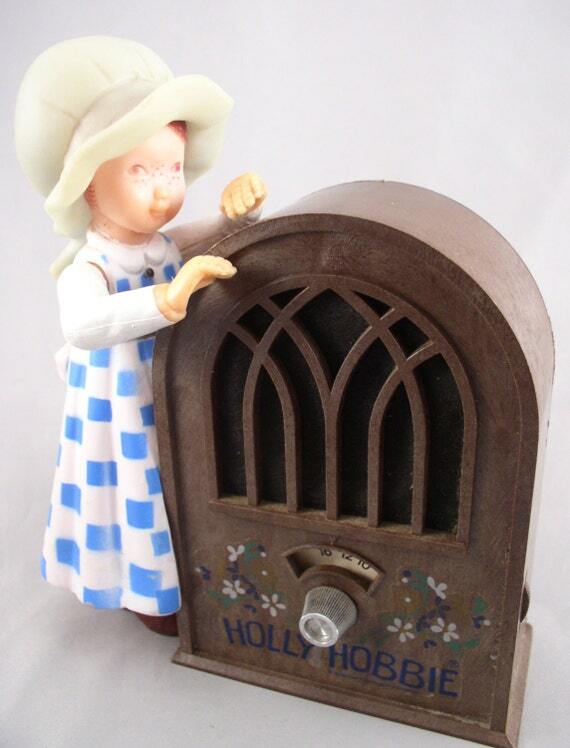 But then I realized that it started long before that – like in the late 70s, when I was given a Holly Hobbie radio for Christmas. I’ve always had trouble falling asleep, even as a young child, and while my parents were pretty permissive about letting me read in bed long after my ‘official’ bedtime, they didn’t want to see their 9-year-old with her light on all night. So I’d tune the radio to CKOC, turn the volume down really low, and drift off to Trooper songs and the DJ’s patter and the news. Even now, hearing ‘The Boys in the Bright White Sports Car’ on my headphones late at night can give me a safe, secret cozy feeling. These days, I still fall asleep (and walk the dog, and clean the kitchen, and do the laundry) listening to the radio – but now it’s podcasts rather than AM Top 40, and it’s less about the hit parade than it is about interesting voices and stories in my ear. 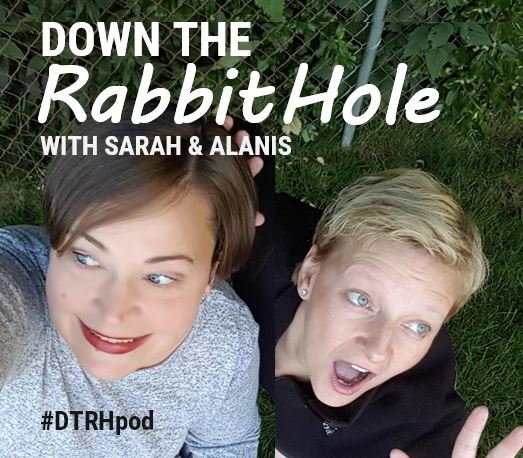 Which brings me to Down the Rabbit Hole, a podcast that Alanis Walker and I have started. I’ve known Alanis for almost 20 years now: We worked together at Anderson DDB back in the day, and she taught me more about PowerPoint than I have ever learned before or since (there was a time when knowing how to ensure a font stayed true when you moved a PPT deck from a Mac to a PC was a critical job skill). She was an early contributor to StayAwake (which started life in 1992 as a zine) as the author of the popular ‘Malaprop Corner’. Most importantly, we share a love of language and learning new stuff. While we don’t always geek out to the same things (I tried, and failed, to match her appreciation of Mystery Science Theatre 2000, but we do both agree that PG Wodehouse was a genius), we do tend to have the same approach: We catch the end of a thread of something, we want to know more, and before we know it, we’re down a rabbit hole. 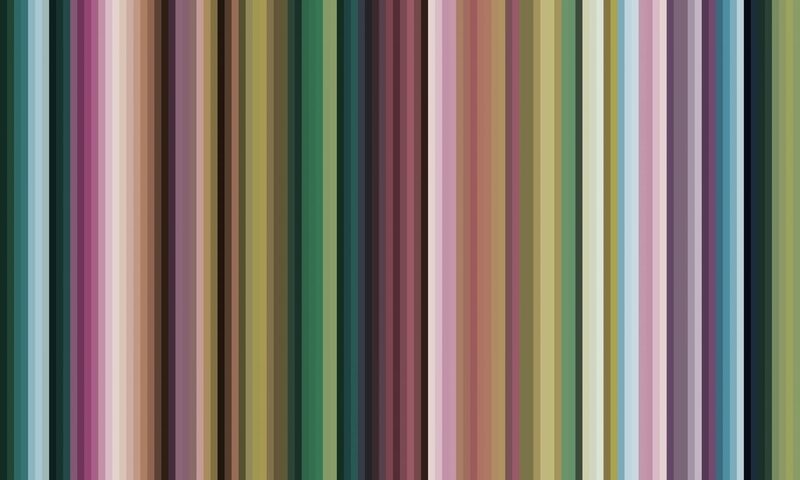 Four hours later, we know everything about, say, the science behind Stephen Fry’s QI explainer on why horizontal stripes don’t make you look fat. But what’s to be done with this information? Is it right that it just goes in to our heads with no chance of escape? Do we have the right to deprive those around us of what we have discovered in our rabbit holes of knowledge? So we’ve created our new podcast, in which we share the fruit of our recent rabbit holes, fall down some new ones, and provide you with some entertainment along the way. Alanis even has actual facts at her disposal most of the time. We’ve got 3 episodes in the can right now – you can check out the pilot episode, on the subject of Guilty Pleasures, here. Is this the best podcast you’ve ever heard in your life? Not yet. But if you’ve ever found Alanis or I even marginally interesting, I encourage you to give us a trial listen. Previous PostPrevious One of your target groups is better than the others. Market to it.